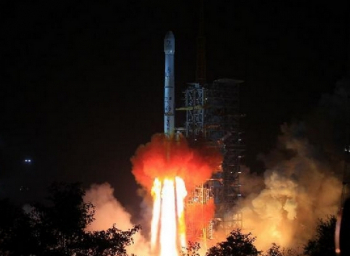 China launched a new pair of navigation satellites in the move to advance the completion of the Phase III of its Beidou program. The launch took place at 12:29 UTC from the LC launch comple of the Xichang Satellite Launch Center, using for the first time the combination of the Long March-3B rocket with the new Expedition-1 (Yuanzheng-1) upper stage. The Beidou Phase III system includes the migration of its civil Beidou 1 or B1 signal from 1561.098 MHz to a frequency centered at 1575.42 MHz, the same as the GPS L1 and Galileo E1 civil signals. Its transformation from a quadrature phase shift keying (QPSK) modulation to a multiplexed binary offset carrier (MBOC) modulation is similar to the future GPS L1C and Galileos E1. The current Beidou constellation of geostationary (GEO) - five inclined geosynchronous orbit (IGSO), and four middle Earth orbiting (MEO) - spacecraft are transmitting open and authorized signals at B2 (1207.14 MHz) and an authorized service at B3 (1268.52 MHz). Real-time, stand-alone Beidou horizontal positioning accuracy was classed as better than six meters, with a vertical accuracy better than 10 meters. The Compass Navigation Satellite System (CNSS) is Chinas satellite navigation system, approved by the Chinese government in 2004, capable of providing continuous, real-time passive 3D geo-spatial positioning and speed measurement. The system will be dual use, based on a civilian service that will provide an accuracy of 10 meters in the user position, 0.2 m/s on the user velocity and 50 nanoseconds in time accuracy; and the military and authorized users service, providing higher accuracies. 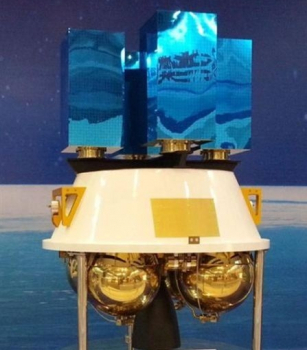 The new satellites - Beidou M1-S and Beidou M2-S – use a new dedicated bus that feature a phased array antenna for navigation signals and a laser retroreflector. 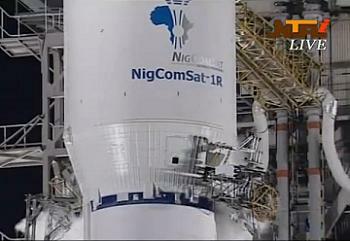 The launch mass is about 800 kg and the satellites have an operational lifespan of five years. 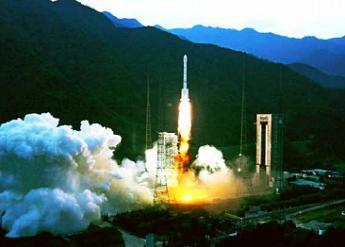 This mission was also the first flight of the Long March-3B/YZ-1 (Chang Zheng-3B/YZ-1) version of the Long March-3B. Each strap-on booster is equipped with a YF-25 engine with a 740.4 kN thrust and a specific impulse of 2,556.2 Ns/kg. 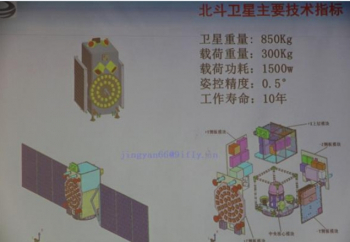 The strap-on booster diameter is 2.25 m and the strap-on booster length is 15.326 m.
The Yuanzheng-1 (Expedition-1) uses a small thrust 6.5 kN engine burning UDMH/N2O4 with specific impulse at 3,092 m/s. The upper stage should be able to conduct two burns and has a 6.5 hour lifetime. 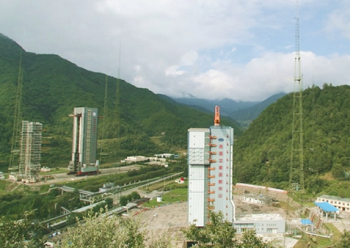 The CZ-3B launch pad is located at 28.25 deg. N  102.02 deg. E and at an elevation of 1,825 meters.